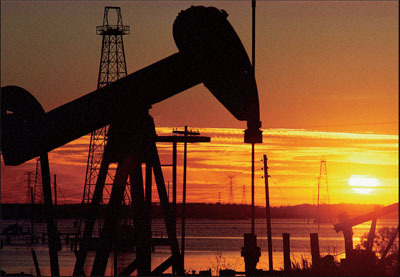 The plummeting of global crude prices is generating ripple effects worldwide. While oil exporters are reeling from plunging revenues, oil importers are bracing for cheaper oil, and the potential economic stimulus. Global economic relations may also witness profound shifts as the United States overtakes Saudi Arabia as the world’s largest oil producer. Given the concentration of oil and other natural resources in Africa, it is worth examining how falling oil prices will affect the continent’s economic transformation aspirations. Since the turn of the century, sub-Saharan Africa has recorded tremendous growth; it is the world’s second-fastest growing region. Many African governments’ expressed priorities are converging around sustaining this growth, modernising their economies and translating the benefits of this economic expansion into increased incomes, jobs and better educational and healthcare services for their citizens. While the Millennium Development Goals (MDGs) had an overwhelming social development focus, the Post-2015 successor framework aims to “promote inclusive and sustainable industrialisation” as one of its proposed Sustainable Development Goals. Newly independent African governments then, fired-up by nationalist zeal, and emboldened by resource discoveries, set ambitious economic modernisation plans, to be financed by resource windfalls – copper in Zambia, cocoa and gold in Ghana, and cash crops and oil in Nigeria. It is on the back of these economic and political developments that sub-Saharan Africa’s growth rates were generated. Since June 2014 however, the high global commodity prices have declined steadily; Brent Crude, the international benchmark for oil prices has lost almost 50 percent of its value. If the tumble in commodity prices in the 1980s led to economic contraction, budget deficits, debt crises and social misery, how will the current oil rout affect Africa’s renewed economic transformation aspirations? First, much depends on the length and severity of the oil crunch. Persistent low prices will deplete foreign reserves, strain budgets, trigger cuts in social spending and other austerity measures, and ensnare oil producers in new debt. Forecasts have been indecisive on the medium to long term trajectory of oil prices ranging from $43 per barrel in the first half of 2015 to $95 by year’s end. Optimistic projections are banking on an improvement in global economic growth, and Saudi Arabia’s staying power in the stand-off with US Shale production. Even if these bullish projections were to hold true, the slowing growth of China and consequent lowering of its demand for fossil fuels, emerging non-OPEC producers and new technologies reducing the cost of shale production could cap oil prices. Second, African oil producers will be hard hit with varying severity. Veteran exporters like Angola, DRC, Equatorial Guinea, Nigeria and South Sudan will be affected as they all depend on oil rents for 50 to 70 percent of their governments’ revenues and more than 90 percent of export earnings. Already, Nigeria is reeling from the consequences. Countries like Malawi which depend on foreign aid for more than a third of government revenue will have greater fiscal space, while Ethiopia’s emerging manufacturing industry could be boosted from savings on oil imports. Fourth, are countries with recent oil finds such as Chad, Ghana, Kenya, Niger, and Uganda. Ghana’s case is particularly striking. Having grossly overestimated expected earnings from its Jubilee oil fields, it embarked on a spending spree with wage increases and subsides and borrowed massively against future oil income. These have led to budget shortfalls since 2011, government debt, a 40 percent depreciation in the currency and a request for IMF stabilisation intervention. Critically, Ghana’s oil production, like most of the new producers will be on a decline by late 2020 according toInternational Energy Agency forecasts. Ironically, the country is already exhibiting pathologies associated with the neighbouring dysfunctional veteran oil exporters. The resilience of counter-cyclical safeguards to buffer the impact of sudden price swings on budgets and development spending will be tested. For instance, whether Angola’s $5 billion Sovereign Wealth Fund (SWF) and Nigeria’s $1 billion and its Excess Crude Account for stashing surplus oil earnings will allow them continue with infrastructural projects remains to be seen. Nice one zainab, always lookin forward to reading your piece. it is undoubtedly clear, that the future of Africa in terms of infrastructural development will remain uncertain due to the over relying on oil revenue and falling of crude oil benchmark price. With or without sovereign fund these countries most swiftly divert its revenue generation to other source of revenue generation including cash crop , soft and solid minerals apart from crude oil.